Update again on 31 Dec: Improved dot codes from eclipseGrafx posted. 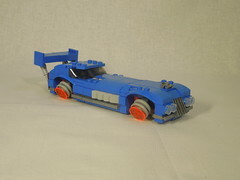 I’ve replaced the code sheet on this post but the one from pharmjod is still available in his Flickr account. 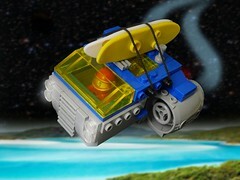 Update again on 29 Dec: Just remember the ‘feel’ guide on figuring out the minifig by touch in my previous post HERE. Anyway I’ve copied below for easy reference all in one page. Happy hunting. Update on 29 Dec: Buyers from USA and Europe are reporting different distribution of minifigs for boxes. Instead of 2 fishermen and 5 aliens as initially reported, they now have 4 fishermen and 3 aliens. Sounds like great news for non-space collectors like me. Fingers crossed on the Singapore distribution! Whitefang from EB (he’s a Singaporean, did you know?) 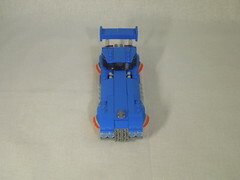 brings us a superb review of 8803 Collectible Minifig Series 3. You can read the EB Review HERE or see more pics in his Flickr account HERE. Gotten your sets yet? Singapore stores should be bringing in this set along with new 2011 sets in Jan 2011 (mid-Jan from what I heard), so time to start saving! Need the dot codes? Improved one from pharmjod is available on his Flickr account. 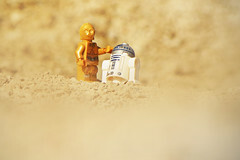 Further improved one by eclipseGrafx is available on his Flickr account. Gorilla – it’s best to find the banana. Be careful though, the Pilot has goggles that can feel like a banana. Pilot – feel for the backpack/parachute (and the goggles there’s an indentation in the middle that the banana doesn’t have). Racecar Driver – feel for all 3 of these, head, helmet & hair. He’s the only guy with all 3. Finding the visor helps too. Samurai – if you find the sword, that’s the best. He’s also got an ‘armor’ chest piece that’s unique. It collapses inward when you squeeze it from front to back. Rapper – feel for the mic, and his hat brim is curved. Careful not to mistake for the Hula Girl… She has 2 maracas that feel like the mic. Hula Girl – finding both maracas is the best. The hair also feels different, since it’s designed to be in the front and back. Easy to confuse with the Rapper by feel and dots. Indian Chief – the headdress is pretty easy to feel. It’s very big. Baseball Player – the bat is a dead giveaway. One of the easiest to feel. The Mummy – the dots are very easy to spot on this one. Really the best way to feel this one is to find the scorpion. Sumo Wrestler – another where the dots help quite a bit. I only felt the trophy one time, so I ended up feeling for the ball of hair on top of his head the most. Alien – the head has the 2 distinct spheres. I almost always felt the beam from the gun as well. Dots are good for this one too. 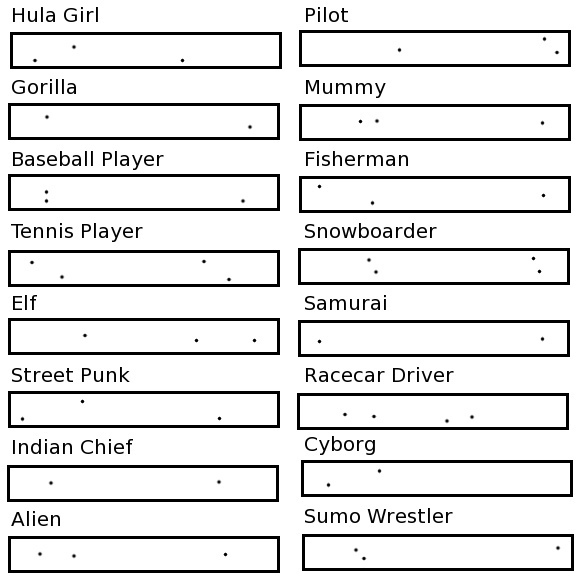 Space Pirate (Cyborg) – easy to confuse with the race car driver. If you can find his robot hand, that’s the best. Remember that both the alien and this guy have a ray coming from their gun (the gun: which is also a good way to narrow it down to one of the 2). Tennis Player – the racket is the tell tell here. Elf (Legolas) – I felt the back if the shield on the first one, but found the bow & arrow easiest from then on out. Snowboarder – the snow board is as easy as the surfboard and skateboard were to feel. Both ends curve up. The Fisherman – the fish is easy to feel, plus the rope on the fishing pole is very different than anything else since it’s ’soft’. It didn’t take too long before the series 3 packaging got decoded. 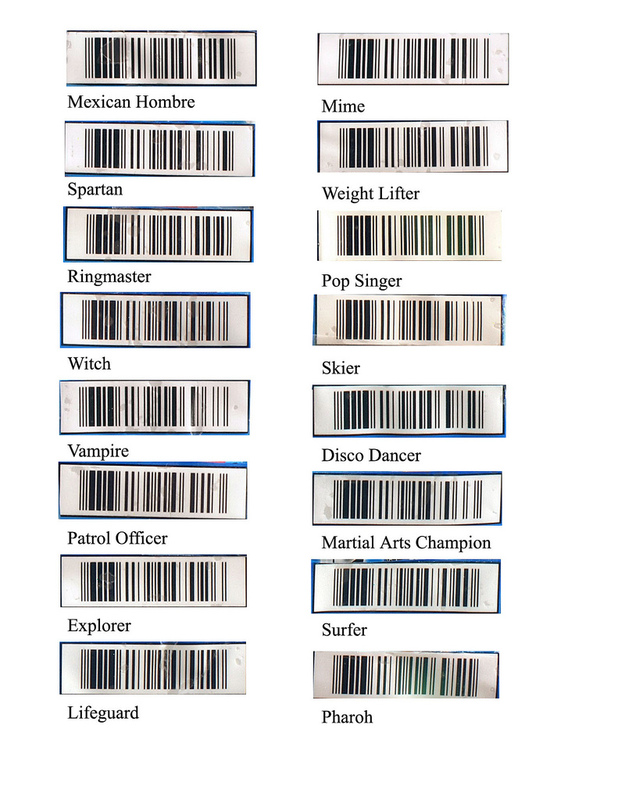 Instead of barcodes, you have… dotcodes? Update: Grogall has done up wonderfully formatted pdf version in single page of the barcodes for both Europe & USA: PDF <– great version to use if your part of the world has both sets. Now just waiting for the sets to be released in my part of the world! SavaTheAggie said “cos he’s a nice guy”. I believe him… and while I don’t need the codes since SG gets the Europe version, here they are for all you North American visitors. Slyowl from Eurobricks has very kindly compiled the Collectible minifig series 1 (8683) & series 2 (8684) European codes into one sheet for easy reference. This time round the barcodes came out much faster. I’m guessing the North American codes will be compiled soon once the Series 2 figs are available. 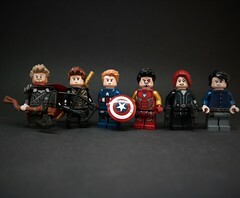 Not to mention Android applications to help with identifying the minifigs. Oh… let the madness begin! 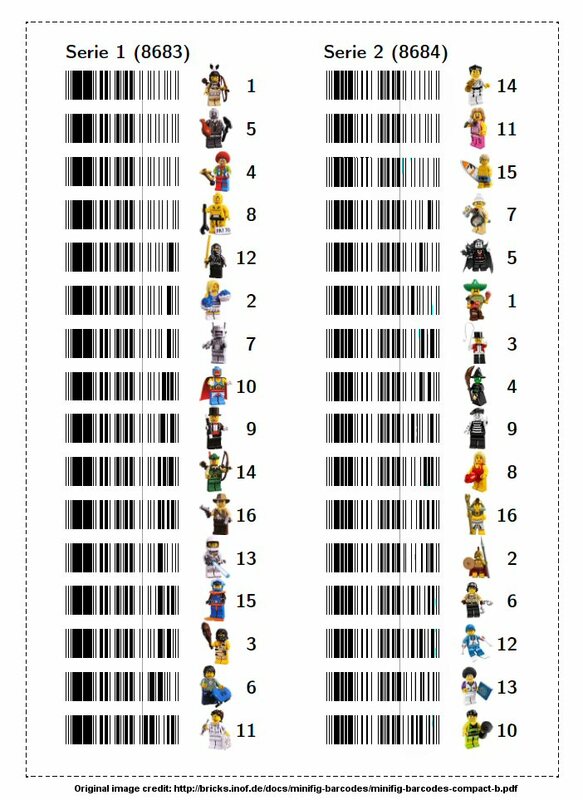 Ras74 and Superkalle have join forces to be the first to give barcodes and close-ups of the collectible minifigs series 2 (8684) on Eurobricks. Thanks guys! 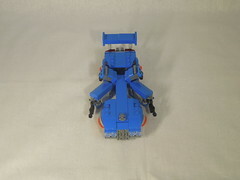 Or, use your Android phone to scan the barcodes at Mobile Brickset. Want to be updated of new posts? Subscribe to my blog! 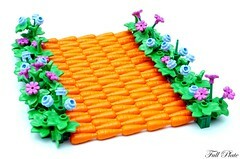 nice i want to buy it!!!!!! I quite like reading through a post that can make people think. Also, thank you for allowing me to comment! You really make it seem so easy together with your presentation however I find this topic to be actually something which I believe I would never understand. It sort of feels too complex and very large for me. I am having a look ahead on your subsequent put up, I will try to get the cling of it! What's up, this weekend is pleasant for me, for the reason that this point in time i am reading this wonderful informative piece of writing here at my house. 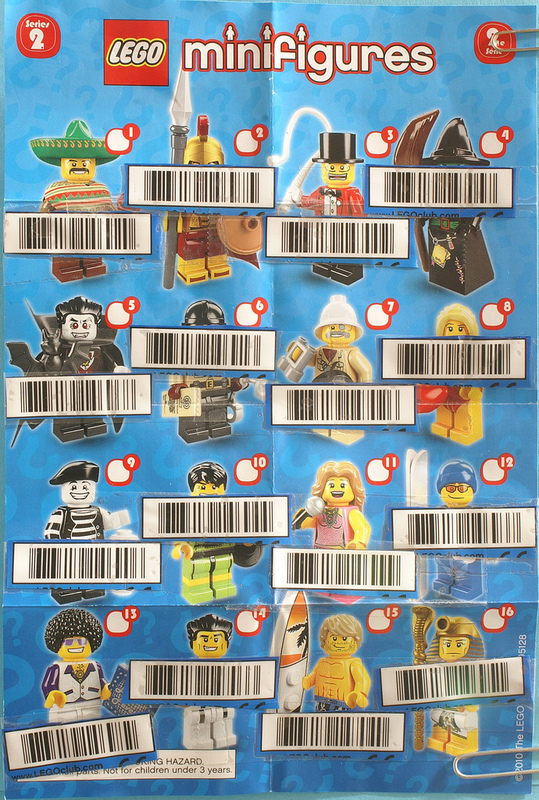 Looking for Ninjago sets barcodes? What will you get if you go to the USA? Is this a new series of “megafig” money banks? To go or not go see some LEGO in Hong Kong? amodularlife by amodularlife is licensed under a Creative Commons Attribution-NonCommercial-ShareAlike 3.0 Unported License.